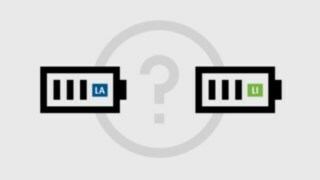 Lead acid or lithium ion: Which battery is better? That depends on the task. 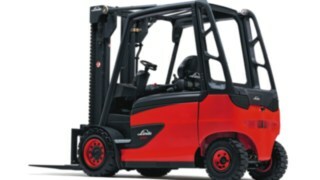 Who uses his forklift in single-shift operation, has plenty of time to charge or change batteries and is not afraid of regular maintenance, will still be able to work well with conventional lead-acid batteries for some time. 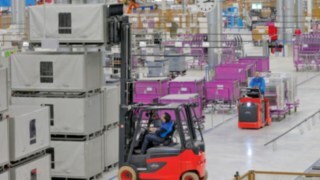 Anyone who operates modern, highly synchronized and partially automated intralogistics can no longer avoid lithium-ion technology. 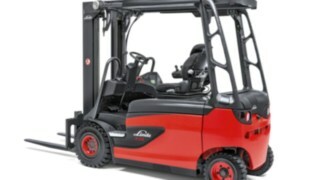 Lithium-ion batteries offer numerous system advantages. They have a higher energy density, a higher efficiency and a longer life cycle. In addition, they require significantly less maintenance than lead-acid batteries. 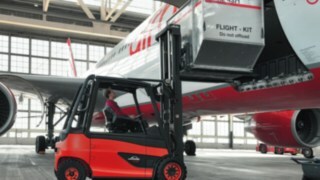 Above all, however, it is possible to charge lithium-ion batteries during short breaks during operation. 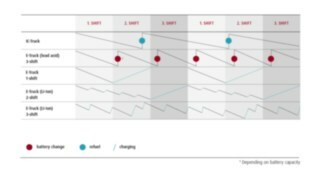 This process-integrated charging is an essential step towards continuous two or even three-shift operation. 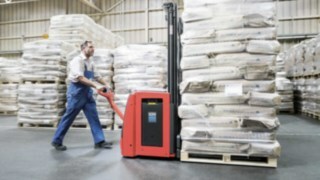 Anyone who operates modern, highly synchronized and partially automated intralogistics can no longer avoid lithium-ion technology. For batteries used in cars, there are regular reports of malfunctions and even fires. Different rules apply to industrial trucks. Even in everyday operation without accidents, the possible mechanical strain is considerably higher than in the car. 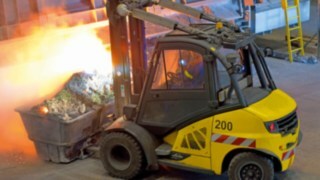 The batteries in Linde Material Handling's industrial trucks are therefore designed in such a way that the batteries are not destroyed or damaged even in the event of an accident. Thanks to a multi-stage safety system, Linde lithium-ion batteries protect cells and modules as well as the entire battery. 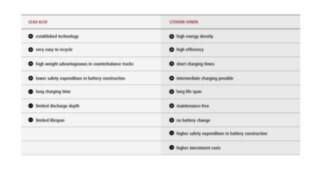 For example, Linde uses a different cathode and anode material than the manufacturers of automotive batteries. This material is thermally much more stable. A solid steel trough also protects the battery body in the event of an accident. The biggest changes are in the energy supply infrastructure. 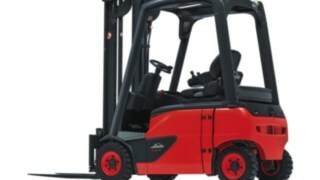 Companies that want to operate several vehicles with lithium-ion batteries in particular need a higher electrical connected load. Depending on the size of the fleet, operators have to adapt their power supply including cables, fuses and sockets. Simply pulling more power out of the line is not possible. They save the space they previously needed for storing and charging lead-acid batteries. The charging infrastructure itself is extremely slim. Users can place the chargers wherever it makes sense. 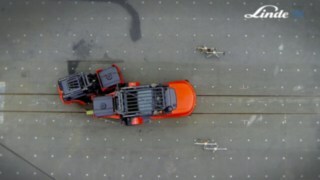 This also makes it possible to use short breaks to load the vehicles in between. Lithium-ion batteries are still being charged using conventional wired chargers. Much more elegant is the electromagnetic induction. The principle is simple: A magnetic field is generated at the charging station with the aid of a coil, the transmitter. When a vehicle drives to the charging station, an AC voltage is generated in one of the vehicle's receiving coils, which in turn is used to charge its battery. The charging stations can be fixed contact points or rails, or a complete surface on which the vehicle is parked. However, the requirements for safe operation increase with this charging technology. 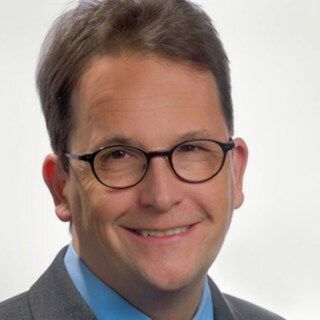 Among other things, systems are prescribed that automatically detect foreign objects (Foreign Object Detection) and living beings (Living Object Detection). In addition, charging stations and vehicles must communicate with each other in order to exchange information on central parameters such as charging status, energy requirements and maximum capacity. 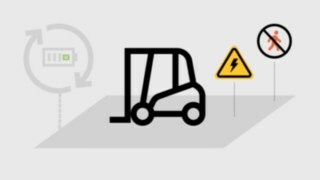 The good thing about it: Such a networked infrastructure is an essential element for intelligently networked energy and fleet management, because in the intralogistics of the future guided and autonomous vehicles as well as the loading technology will communicate continuously with each other. 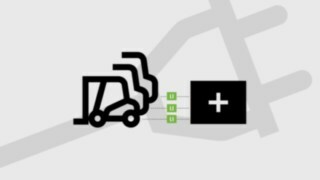 Lithium-ion batteries make it possible to tailor the energy system of an industrial truck exactly to the respective application. Depending on his specific requirements, the user receives an efficient energy solution tailored exactly to his needs. 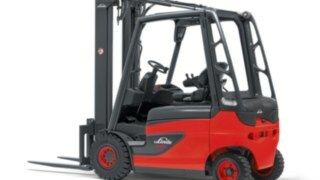 Linde, for example, can precisely adapt the load profiles to the respective energy requirements and thus optimise consumption. 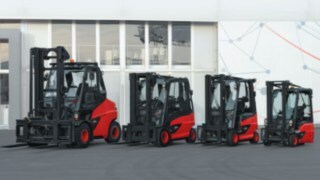 But: Despite the high amount of stored energy, the capacity of the current lithium-ion batteries is not sufficient in all cases when it comes to enabling a hard three-shift operation. 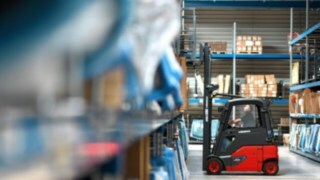 Linde is therefore developing specially adapted working and loading strategies with short interim loading times for users who have these requirements. This requires fast-charging batteries and a correspondingly powerful mains connection. The advantages of such a solution are clear. 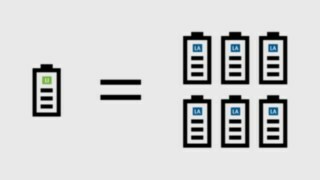 A lithium-ion battery can replace between four and six lead-acid batteries in such a three-shift operation. Lithium-ion batteries have proven themselves in practice and have excellent development prospects. The greatest potential lies in the further development of electrode materials. Experts predict that the capacity of lithium-ion batteries will increase by up to 40 percent in the coming years. This is made possible by anodes that increase their capacity by enriching the material with silicon and high-voltage stable electrolytes that significantly improve the performance of the cathodes. 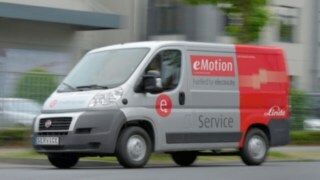 Fuel cell technology is also relevant for the future supply of electrically powered industrial trucks. Their main advantages in application are the very high energy density and the fast refuelling. In addition, the drive only releases water as an emission. The disadvantages are the expenditure for the production and storage of hydrogen, the higher maintenance costs and the low efficiency. Nevertheless, users in the USA currently already operate around 16,000 industrial trucks with hydrogen drive - also thanks to a targeted promotion policy for this alternative energy source. Another interesting storage technology of the future could be the so-called "supercapacitors" or "supercaps": With these solid state batteries, the energy is stored by shifting the charges in the material itself. The principle is promising because the time-consuming chemical charging process is no longer necessary. However, the energy density is still much too low and the costs are extremely high. 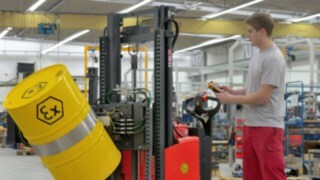 Initial solutions based on this technology can therefore be found in intralogistics, especially in automated stationary systems, where the batteries can be charged quickly. However, there is still a long way to go before it can be used on a larger scale. 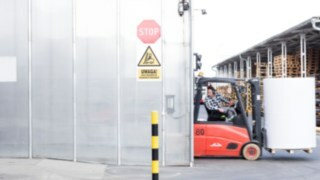 Until then, lithium-ion technology should establish itself as the backbone for the intelligent energy mix in intralogistics due to its system-specific advantages. 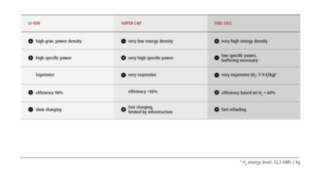 The combination of energy density, high performance, efficiency and ease of use at comparatively moderate costs is currently not offered by any other energy source.